This time around it starts off with the team participating in a relay race at the school’s athletics day. Basically, the plan is that if they win people should want to join their club. And guess what……they’re participating while wearing their swimsuits!! Yeah apparently everyone has to wear their club uniform, and them being a swimming club…….. So now we have the boys awkwardly running in their swimsuits. 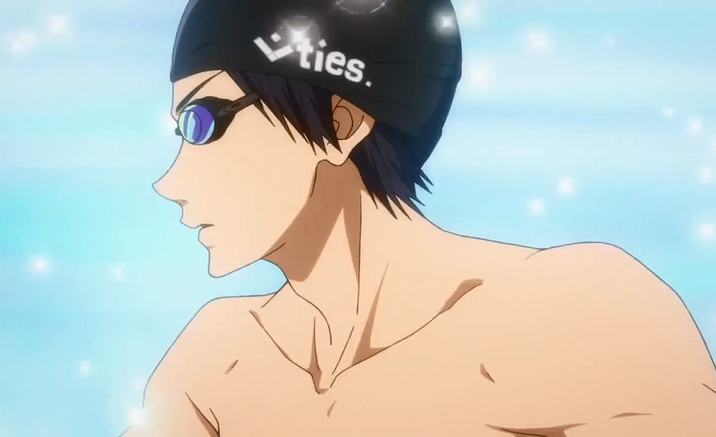 First of we have Haru-chan! See my point? I’m sorry Rei ^.^:;;;;;; If it makes you feel any better though, I think being able to swim/crawl right against the floor is pretty amazing….. 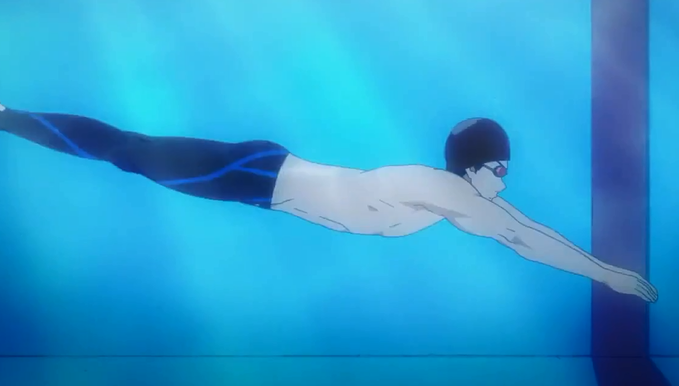 So how did Rei not notice them? Either he’s incredibly insensitive, or he just had a lot in his mind. I’m still not sure which one is the right reason. I must say, even though their stalking methods was seriously ridiculous, I was a bit surprised by what Rei is actually hiding. Rin has been coaching him! Well there were two things I thought about this. First of all, I was glad to see Rin bond with Rei because in the last season they had this tension between them of the ‘new vs old’ thing. I guess with Rin helping Rei, it shows that he’s accepted Rei to be in his friends’ team and accept him as his friend too. It might also be to do with what Rei did for him last season, so Rin might have thought of it as paying back a favour in a way. Either way, it was sweet of him to do so. Well what else is there….. I guess from the Samezuka side, there’s Momotarou being the really weird but hilarious kid he always is~ Also Ai being exasperated at his new roommate….and well Rin and Sousuke are roommates now? Funnily enough they both wanted the bottom bunk, but they decided to settle it the old fashioned way. Well then that’s all for now~ I’ll see ya all in ep 4!! So, how good is Momotarou really is anyway? 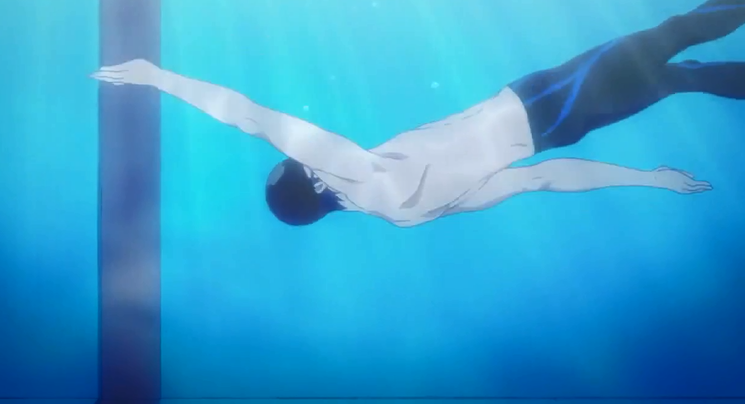 We finally get to see more about Rin and Sousuke’s relationship when they were kids! 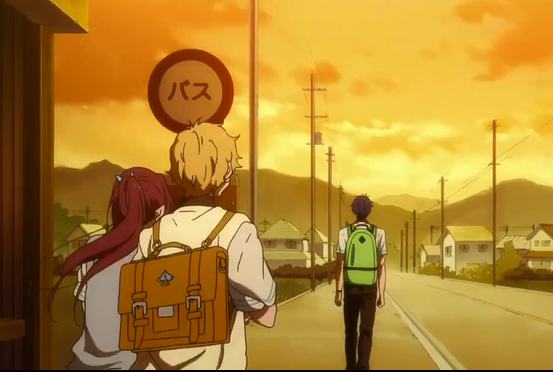 And…..Gou is off on a mission to make the perfect lunch box?? ?